Dove range of body lotions gives you the Best Moisturisation for long lasting soft, smooth and radiant skin. Dove s Superior nourishing power now meets nature-inspired beauty rituals. Fifty years of Dove s expertise in nourishment and care is combined with exquisite and unique ingredients. The Nourishing Secrets Body Care Collection moistures deeply* into the skin providing a radiant looking and extra soft skin. The gift of nourishing secrets inspired by beauty rituals of real women based on lotus flower and rice, blended with care from Dove, for the smoothest beautiful skin. These beauty rituals are transformed into a Dove range that seduce with its ultra-sensorial beauty benefits. 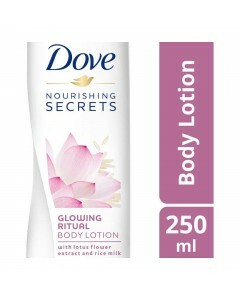 Dove Glowing Ritual Body Lotion has a delicate formula blended with rice milk and lotus flower extract. Rice water is rich in vitamins, and is believed to be moisturizing, leaving skin feeling smooth and beautiful. Ancient Hindu and Buddhist writings linked the lotus flower to serenity and purity. It has also said to have soothing and calming properties, which will help your skin. Together, this blend with lotus flower and rice milk promises to nourish skin deeply* while its sparkling floral scent delights the senses. Experience radiant looking skin that feels silky soft. within stratum corneum. 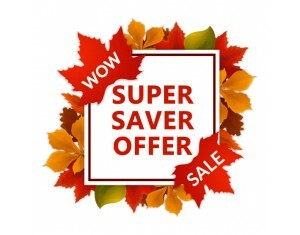 The Best Moisturisation for skin For long lasting soft, smooth and radiant skin. Dove s Superior nourishing power now meets nature. Fifty years of Dove s expertise in nourishment and care is combined with exquisite and unique ingredients. Radiant looking and extra soft skin. Combines exotic nature inspired ingredients: Lotus Flower and Rice Milk.